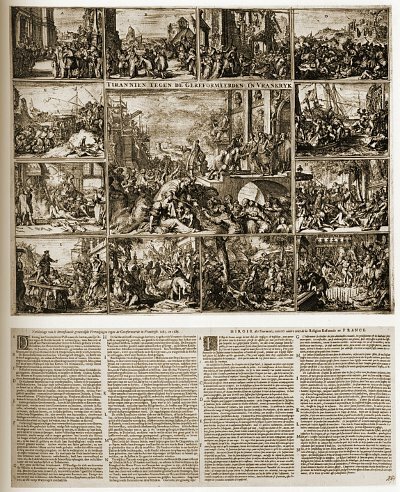 Plate 1 displays the destruction and outrageous torment perpetrated by the soldiers of Louis XIV, condoned and egged on by the Catholic Church (Jesuits). In 1686 Romeyn de Hooghe produced an unsigned plate which was divided into two separate columns, one in Dutch and one in French, with scenes showing the violent methods employed to obtain conversions. The scenes of brutal outrage are somewhat exaggerated.